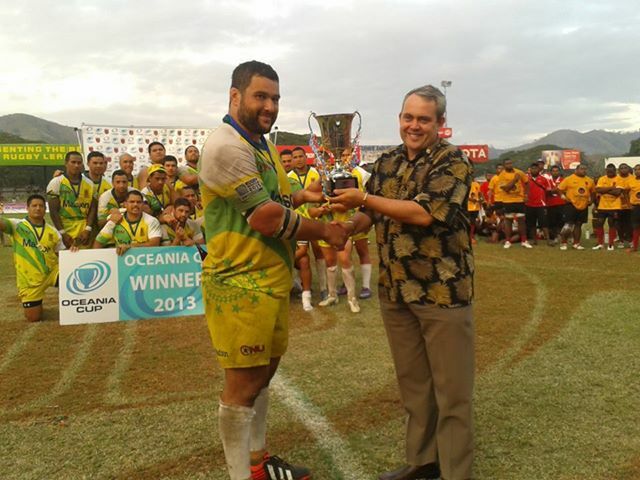 Team Cook Islands have defeated PNG Monier Pukpuks in the Oceania Qualification for Rugby World Cup 2015. Tournament hosts and defending champions Papua New Guinea, headed into the tournament as favourites but they were stopped by desperate Cook Islands outfit 39 - 31 infront of huge crowed at Port Moresby's Lyord Robson Rugby League Ground. PNG's sports minister Justin Tkatchenko MP congratulated the Cook Islanders for their win and presented them with tournament sheild.